The interest in Space programs keeps climbing on the African continent. Have you heard of the teenage girls from Cape Town working to launch a private satellite? In May, this private satellite is slated to launch. Sounds exciting? Yep! 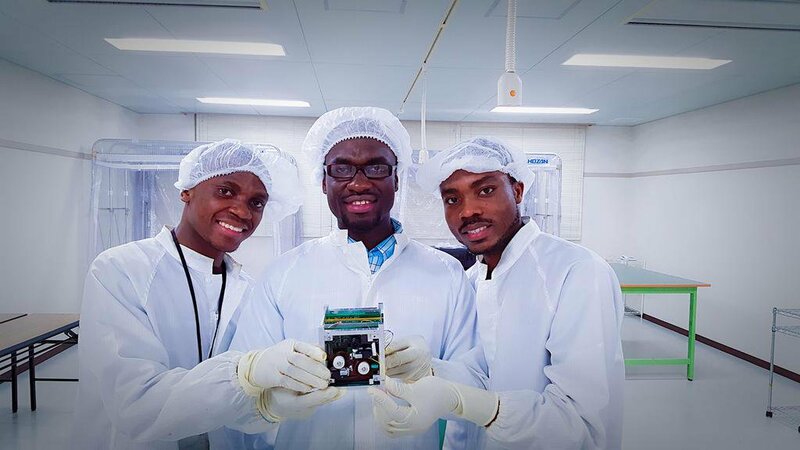 Even more exciting is the Cubesat from Ghana that’ll go aboard the next Falcon 9 of SpaceX, scheduled to launch into space in April, 2017, to join the International Space Station, from which the Cubesat will be deployed on its mission. The previous sentence is a lot compressed, however, I met up with Julian Bennett of the All Nations University (ANU) College here in Koforidua, who leads the team responsible for engineering the Cubesat, with amazing support from, Mr. Benjamin Bonsu, Ernest Matey, Joseph Quansah, and Aaron Yankey – all of the ANU. A CubeSat is a type of miniaturized satellite for space research usually of mass of no more than 1.33 kilograms per unit often built with commercial off-the-shelf components for their electronics and structure. 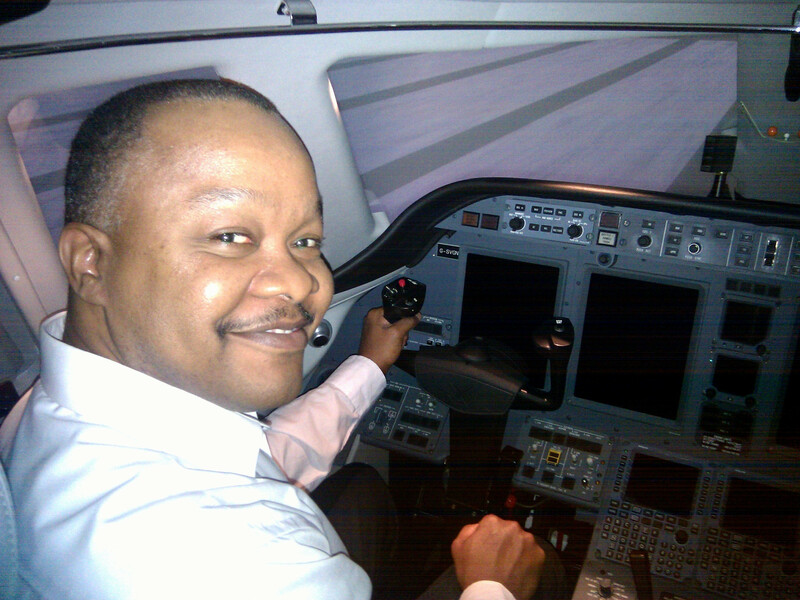 Julian Bennett is an aerospace engineer and a lecturer at the All Nations University, who’s knowledge and experience in the field made him a great personality, to both lead the project, and also share his insights and experiences with us. Join Khophi’s Dev Radio, on the 19th of March, 2017, for a detailed interview with Julian on the subject of the upcoming launch. After acquiring his Degree in Electrical Engineering from the KNUST, and a Masters Degree in Aerospace Engineering from the Brunel University in London, Julian is now the lead on the Space Science Technology Laboratory (SSTL) project of the All Nations University, working with talented and dedicated students and colleagues, over the past 2 years in making the upcoming launch mission a reality. 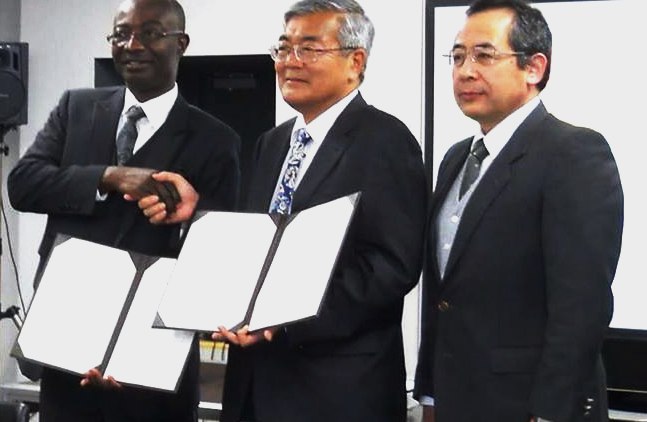 The All Nations University from Ghana, joined hands with Nigeria, Bangladesh, Mongolia and Japan to make this endeavor a reality, coming together as part of “BIRDS Project“. The Cubesat, currently in the hands of the JAXA (Japan’s version of NASA), where much testing will happen, then eventually handed over to NASA to be put on board the upcoming Falcon 9 launch into space. Interview with Julian Bennett about the Cubesat and more, which was broadcasted on Khophi’s Dev Radio on the 19th of March, 2017. To help bring some of the engineers on board the ANU Space program team up to speed on this space ambition, some of the team members received training in Japan. Space-related stuff isn’t that simple and involves research, trials, testing, and dedication. The fact that many of these team members used to be students of the ANU, but decided to cling onto the project to see it rolling eventually (pretty soon) is such a remarkable desire – a clear sign of how the love for Space has evolved that much into a driving force in recent years in Ghana. No, the All Nations University don’t have a campus in Space, however, over the years, the institution, comprising of students from literally almost ‘All’ nations, has spent tens of thousands of dollars in pushing for research and engineering into their space program. Before Julian joined a couple of years ago, the All Nations University had embarked on the launch of the CanSat back in 2013. This experiment caught the attention of both scientific bodies, and media houses alike. The experience at the time, indeed was a motivation factor, for both students and lecturers involved in the space program at ANU to keep pushing. And pushing they did! As a result, in just less than a month, if the mission doesn’t get aborted just 13 seconds to launch. As someone who witnessed the recent Falcon 9 launch, I can’t wait to see the next one happen on the 9th of April, on which Ghana’s contribution on the Cubesat gets to be launched into space to join the International Space Station. Join me, Rexford Nkansah, a Senior Web Developer and the host of the Khophi’s Dev Radio, this Sunday, 19th of March, as I chat with Julian Bennett. In our discussions, Julian shares the process involved in getting the Cubesat to the stage ready to deploy, the team involved, the challenges, the purpose and how the Cubesat is planned to be deployed into orbit eventually, when in space. Visit Khophi’s Dev Radio to learn more. Previous Post Shypmate – Your Delivery Cost is Unfair. Balance it, Here’s How! Next Post Get Django Custom Error Views Right the First Time!